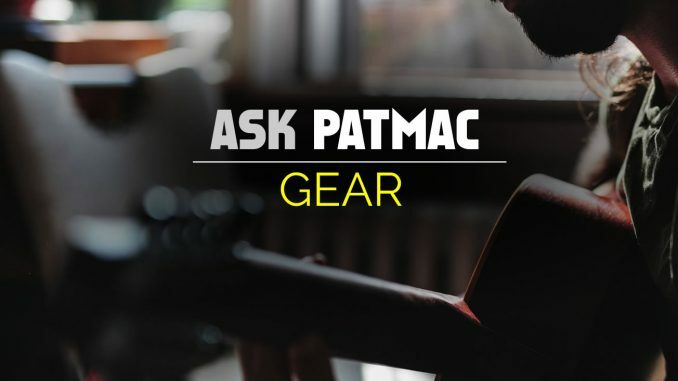 HomeBlogAsk PatmacAP-005 – Why do guitars have dots? 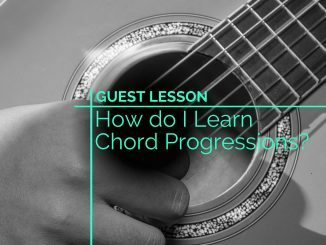 I am a rank beginner to the guitar. I am trying to learn the function of the fretboard. The guitar I have borrowed is classical with 12 frets. How do I transfer what I see on YouTube videos about fretboards to this one. Is there a common reference point where I can align the online diagrams with this fretboard? The dots and number of frets are all different comparing the videos I have been watching. The common reference point is the nut regardless of where the dots are located. If you can’t see the nut you have more work to do (unless you can match the note being played by ear). Dots themselves are used solely as a visual aid to finding your place on the guitar. Here are several facts on dots and how they work. Some guitars have no dots or only on the side of the neck where only the guitarist can see them. 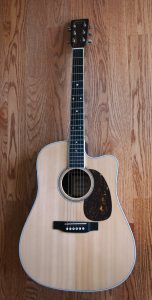 Most guitars have a double dot or some symbol at the 12th fret. Most guitars have a dot on the 5th, 7th, and 9th frets. Sometimes the 7th fret has a double dot. Some guitars have a dot on the 3rd fret. 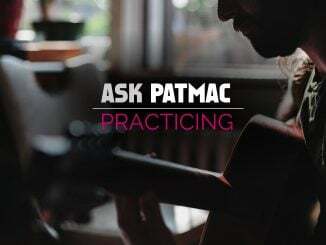 Most electric guitars have dots on the 15th, 17th, 19th, and 21st frets. If they go to 24, there is usually a double dot there. Some guitars have different symbols like trapezoids, birds, bones, crosses, etc. However, they are at the frets specified above. Some guitars have a dot on fret 1. Click on the photos for an enlarged view. 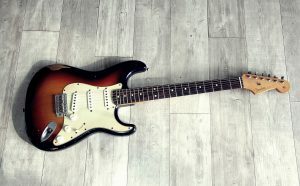 Fender stratocasters have the most common dot pattern. 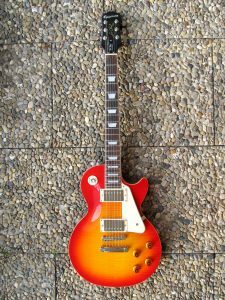 Many Gibson guitars, such as this Les Paul, use trapezoids instead of dots. 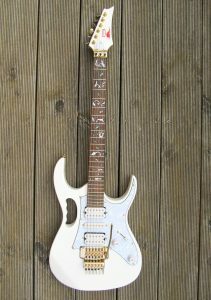 This Steve Vai signature guitar, by Ibanez, uses a plant-like inlay instead of dots. Notice how some frets are more noticeable in the picture despite the complexity of the inlay. 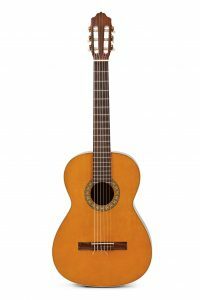 Classical guitars often lack dots. The dot pattern on my Martin DC-16RGTE omits the dot on the 3rd fret and doubles the dot on the 7th fret. AP-008 How Do I Memorize Songs?